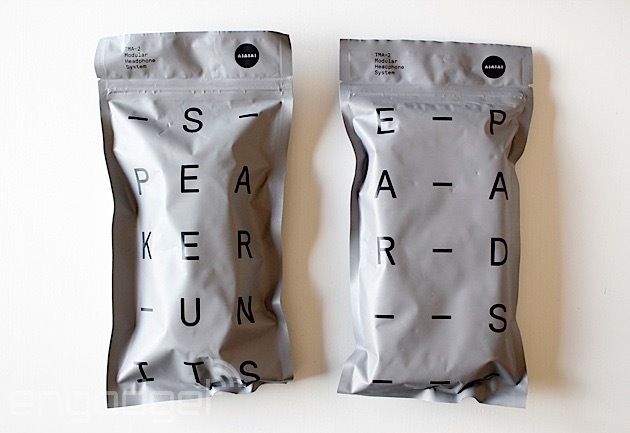 AIAIAI makes headphones (mostly). Historically, the Danish company has struck a good balance between understated cool, and audio quality (for the price of admission). The popular TMA-1 series spawned a few variations aimed at different use cases, such as a DJ model, and a Studio pair (and some special editions). Today, AIAIAI introduces The TMA-2. This isn't a sequel though, it's a rethink: break all the different editions up into parts; let buyers combine the bits they want to create their perfect set. 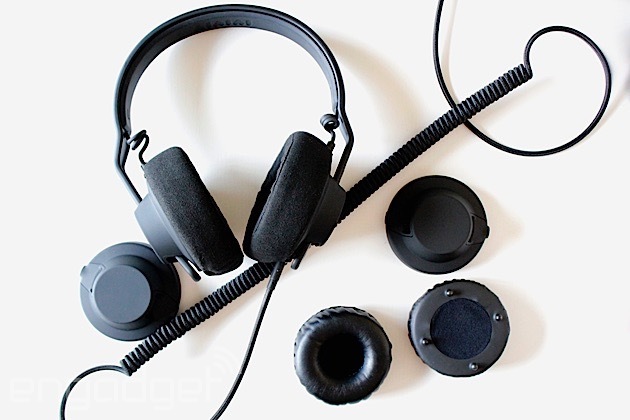 Modular headphones have been tried before, but often with more focus on cosmetic components. The TMA-2 system (literally) breaks headphones down into four configurable elements: headbands, cables, speaker units and earpads. If you loved the TMA-1 DJ edition, but wanted the snuggly earpads that came with the Young Guru model, with TMA-2 you can. The system launches with four different driver units ("all-round, punch, warm and vibrant" -- no open back options yet) and five earpads (microfiber and PU leather in on- and over-ear styles, and velour on-ear), for a total of 20 different sound profiles. Fortunately, AIAIAI has made a list of every combo, with a synopsis of how it should sound. To make things easier, AIAIAI sells four "starter" presets that are, essentially, the varieties of TMA-1 you could get before (DJ, Studio, Young Guru and "all-rounder). From there, you can mix and match as you see fit (or just build your own set from scratch). The cost of each component varies, with speaker units starting at $65, and pads and bands around the $35 - $50 mark. How many variations you need is up to you, but be careful, there's definitely scope for the "collector's itch" to kick in, and the next thing you know you've got them all. Crafty AiAiAi. The good news is, if you already own the TMA-1, the new components will upgrade your current set, too. From a design point of view, TMA-1 is so understated (every component is black, the core materials aren't flashy chrome, wood or leather) that your configuration choice is almost entirely based on comfort and sound. It's nice for the focus to be on fit and function first. New colors wouldn't be difficult to introduce later, but the launch is all about functionality. AiAiAi hopes TMA-2 will be a way to easily introduce new features quickly and affordably. I tried two configurations that closely resemble the DJ ($200) and Young Guru ($260) presets. A deliberate choice given I had exposure to both of these headphones already. Assembly is simple, cables twist and lock in, ear pads clip on, and cups and headband slide easily into place. Dare I say it, it's weirdly satisfying, like building flat pack furniture. The two sound profiles created by the different ear pads and speaker units are easy to tell apart, and match AIAIAI's (admittedly broad) description. On a personal level, I find the DJ preset pleasing, but lacking in the mid-high frequencies. But that's okay, because I also have the speaker unit that's more of an all-rounder. Goal achieved. Right now, the choice is limited to closed-back, on- and over ear headphones. But, there's no reason why this couldn't expand into the whole gamut of headphone types (in ear, sports, wrap-around and so on). Or, even more advanced configurations (angle of the driver etc.) if the idea catches on.